We first met Melodie and Dave Badger in 2006 during the Parade of Homes. In 2012 they contacted us, Having purchased a lot in the Cliffs of Colington they were now ready to sell their Duck beach house and move to the Outer Banks full time. 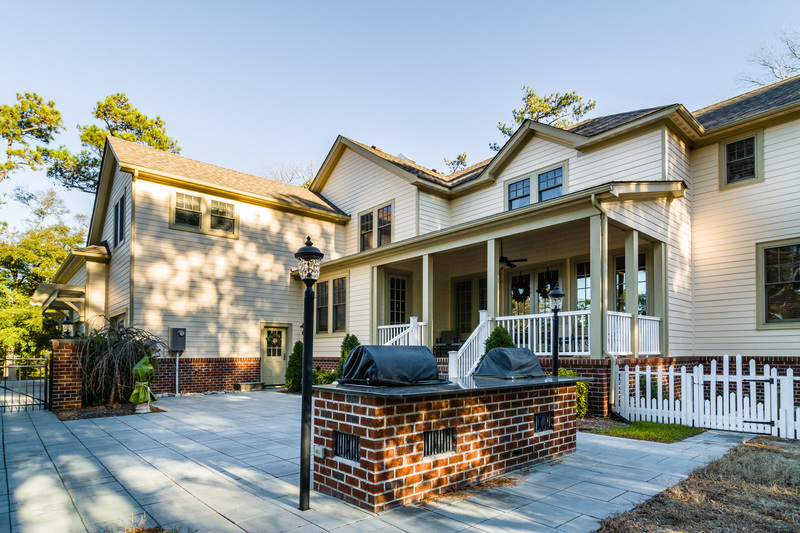 Right away, you can tell that this beautiful house is not your typical Outer Banks home. 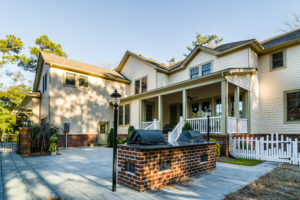 It is a traditional Williamsburg style home. Throughout the design and selection process, both Dave and Melodie knew what they wanted in their home. We worked together to make their visions for their new space come true! Visually, the house is stunning. Red brick arches surround the courtyard to the front entrance way to the home, followed by floor to ceiling raised panels that greet you in the main foyer. 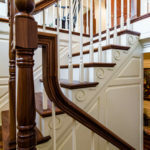 Deep walnut floors carry you down the hall past the powder room to the butler’s pantry, kitchen, and formal dining room. 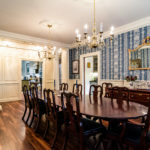 Traditional wallpaper styles and colors adorn both the powder and dining rooms. 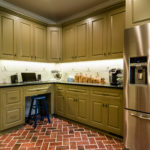 The brick kitchen floor truly makes you feel like you are in Williamsburg along with a fireplace. 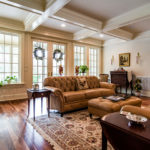 Stunning coffered ceilings appoint the living room. 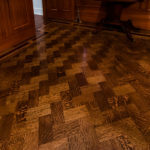 Dave’s office is completed with a quarter sewen herringbone white oak floor with a custom inlay around the perimeter of the room. Upstairs there are four bedrooms and four bathrooms, a home office and a family room. 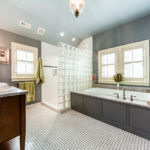 Walnut hardwood floors, tile bathrooms, custom cabinets… just to name a few of the elegant details of this home! To see pictures of this stunning home view the gallery here.